Reports and news from the Champions League. Ole Gunnar Solskjaer has Alexis Sanchez back available to face Barcelona with the winger set to return from injury. 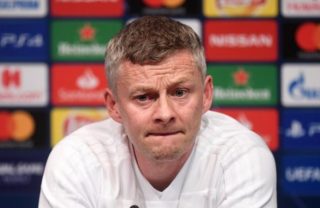 While Sanchez has yet to show his worth at United, this is good news for Solskjaer as it gives the manager more options with some big games coming up, and it’s very much last chance saloon for the player at Old Trafford. NEXT: Ole Gunnar Solskjaer responds to message from fans fearful Pogba will leave Man Utd? Sanchez should be keen to start the game at Camp Nou, facing a former club and after spending another lengthy spell on the sidelines (or, in his case, back home in Chile). Anyhow, Solskjaer has hinted that Sanchez will feature at some point against Barca. He also pointed out how Sanchez’s season has been far from fantastic. “When he is on the pitch he wants to prove a point for us as well,” Solskjaer said, as quoted by the Manchester Evening News. Sanchez appears to be strolling into a dead end at United, with everyone pretty much happy to see the back of him this summer. Hopefully, that won’t knock any bit of enthusiasm the player has to get his career back on track, though he hasn’t shown a lot up until this point. There wouldn’t be any discussion over Sanchez starting against Barcelona if Anthony Martial looked half-arsed at the moment. The latter needs to start tomorrow night and show the world why he’s one of the brightest talents out there.